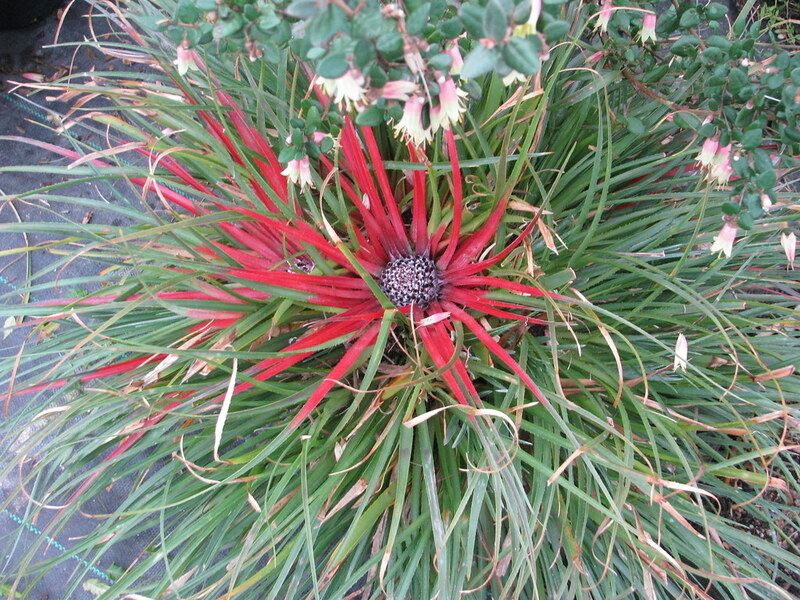 I think most keen gardeners now know about this remarkably hardy (to about -12C) Chilean bromeliad. There has been some confusion about the naming - the F.bicolor bicolor apparently has broader shorter leaves and is generally less hardy and easy to flower in the UK. F.bicolor canuliculata forms a mass of long narrow silvery leaves under a wide variety of conditions in most of the UK and flowers regularly. The only thing it definitely needs is excellent drainage. It doesn't mind drying out periodically or being root-bound, and makes an excellent container plant. It will also grow well in the dry shade of an evergreen shrub as long as it gets sun coming in from the south side, especially in winter. In the wild it tends toward the epiphytic or lithophytic, growing in rock crevices and in the forks of branches so a raised bed is the obvious place for it. If you have a gnarly old tree I'd definitely give it a go there too - wiring the roots in a fork in the trunk, covering them in moss and giving it some water while it gets established. Try it in the crown of an old Cordyline or on the fibrous trunk of a palm.